Relationship to Buenos Aires: I made Buenos Aires my home five years ago, during the spring of 2010. It happened when my boyfriend Juan and I finally decided that a 30-hour plane ride was too long of a distance for any long-distance relationship. I was young, bold, and wanted an adventure; so I quit my job in a large bank right after bonus season, bought a one-way plane ticket, packed what little belongings I had in Singapore, and boarded the Malaysia Airlines flight that would eventually land in the Porteño capital of Argentina. Writer you'd like to invite to dinner: Elizabeth Gilbert, author of Eat, Pray, Love, and most recently, The Signature of All Things. Chef you'd like to prepare the meal: Anna Watson Carl from The Yellow Table. Writing soundtrack: Complete silence (I need to hear the sound of my words). Pen or Pencil: Pen, but 99% of the time, the computer keyboard. Coffee or Tea: Tea – of any variety, but mostly green. Paperback or Hardback: Paperback, but more often than not, my Kindle. El Ateneo Grand Splended. A once grand theatre that is reincarnated as a bookstore, this lavish space holds three floors of books, together with a café that is housed on what used to be the former stage. If you’re lucky and happen to be there in the evenings, you may be able to catch the pianist playing the piano, as you sip on tea and medialunas (crossaints). Dain Usina Cultural. Its modern space is split into two parts – one for books of all kinds and the other for a café with a stage that showcases cultural events. There is also a terrace on the second floor which is beautiful for days with sunshine and warmth. 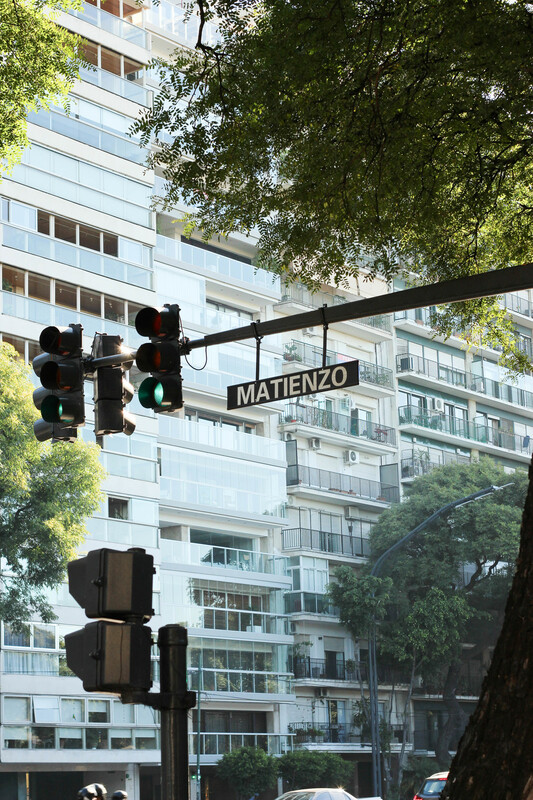 Avenida Corrientes. Along this famous avenue, which is spotted with local theatres, you can also find plenty of second-hand bookstores – most of the books are in Spanish, but occasionally you get to find English books if you have the patience to sift through the piles of books that are gathered in the stores. You may also chance upon magazines from the 1970s, silverfish, and guidebooks from previous tourists. Biblioteca Nacional. This large, architecturally-interesting library was first opened in 1812 and is currently based in the Recoleta neighborhood. 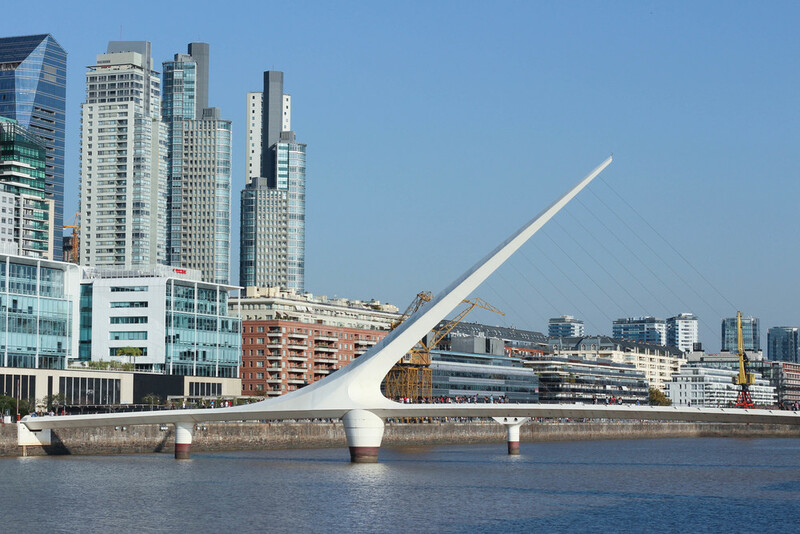 It provides free guided tours, with a large reading sector and a lovely view of the Rio de la Plata. Biblioteca del Congreso de la Nación. This monumental library residing beside the Argentina Congress has a wide range of historical archives, and an online catalogue that makes browsing for titles of interest a whole lot easier. You may even find some English language books. Buenos Aires Book Fair. A 20-day long literary festival that commences every April, the Buenos Aires book fair also known as la Feria Internacional del Libro de Buenos Aires, is usually held at the La Rural exhibition center. Be ready for queues there go around several blocks, but your patience will eventually pay off. Feria Masticar. This is an annual food fair that brings together the city’s most important chefs and restaurants, making for good weekend fun with friends and family alike. Want a taste of the country’s cheeses, wines, and other local produce? You’ll find it all here. Caballos A la Par. If you’re into horseback riding, or simply want to get out of the city to the countryside, Miriam and Adrian are the most patient teachers in the world. The stables are located a half-hour drive away from the capital, and the rides through the nature reserve are a welcome retreat from the city’s fast-paced rhythm. I always recommend visiting friends to take a class, which is personalized and more than anything, fun! Café Rivas. Tucked in the old neighborhood of San Telmo, Café Rivas has an authentic Parisian charm that makes you feel transported back to the Belle Epoque. It is small, beautiful and is a lovely space to recharge your energy after you’ve explored the weekend antique market in San Telmo. Almacén & Co. A tiny café that first started out selling Cuban cigars and chocolate, this cozy corner in the heart of the Las Cañitas neighborhood has now expanded its menu to include Spanish tapas, a wide collection of wine, teas and various snacks. I like to go there to read and have a pot of steaming hot passion fruit green tea. Le Pain Quotidien. This Belgian coffeehouse franchise first reached Buenos Aires in 2012, and now has more than just a handful of stores within the capital city. It boasts an extensive menu that includes freshly-baked bread, sandwiches, salads, and main courses, along with desserts and tea-time fare. I love that every Le Pain Quotidien store has a large communal wooden table that makes a beautiful centerpiece of the space. My friend Isadora and I mostly meet in the Le pain Quotidien in Palermo Soho, where many of our deepest conversations begin. Oui Oui. A small, cozy French-café that is great for brunch or all-day-breakfast. I recommend the “Huevos Completos” set that comes with Oui Oui’s signature mint lemonade. Cocina Sunae. When I miss authentic Southeast Asian food, I make my way to this closed-door restaurant, where my friend and the chef Christina Sunae whips up mouth-watering Asian fare. La Pastronería. If you’re looking for gluten-free options in Buenos Aires, I highly recommend going to this gluten-free deli in Palermo, which serves amazingly fork-tender pastrami that melts in your mouth. They also have gluten-free pizza, pasta, and dessert! Crizia. Fresh oysters, lovely cocktails, romantic ambience and a select menu are what await you at this Palermo-based gem. While it is true that Crizia is quite a bit more expensive than the average restaurant, it’s definitely worth every penny. Juan and I go there during our birthdays, once a year. Ninina Bakery. This Palermo-based bakery is clean, spacious and serves delicious, organic food. I usually go there for a steeping cup of floral tea, accompanied with a large slice of cake. Oh, and yes, if you need to use your laptop, they have free Wi-Fi too. Piano Nobile at Palacio Duhau Park Hyatt. If you’re looking for a luxurious environment with a high-tea menu that will wow you, this is where you’ll need to be. Old school charm, with the view of a sprawling landscaped garden before you, it’s going to be hard to leave when you’re done with tea. Café Tortoni. To get a glimpse of what Buenos Aires used to be fifty years ago, you need to go no further than this café situated along the Avenida de Mayo, whose heavy décor and churros with hot chocolate make very good reasons for tourists to visit it. Tango shows are also available if you’re interested in this delightfully sensual dance. 1. Favorite view: I love the view of the grand, luxurious houses in the sprawling Barrio Parque neighborhood. Juan and I often take a joyride in his Volkswagen and we cruise at the slowest possible pace around this neighborhood, admiring its large, extravagant houses, which are often intersected with foreign embassies. 2. Favorite place to write: At home, at my dining room table, sitting cross-legged on my chair. 3. Favorite museum: MALBA (Museo de Arte Latinoamericano de Buenos Aires) – a museum showcasing Latin American art. 4. Favorite coffee shop: Rivas Café. 5. Favorite thing about Buenos Aires: Coffee/tea culture. I love the fact that everyone is always up for a coffee or tea, with a three-hour long conversation about life on the side.